“The African FTTH Boom” takes an extensive look at FTTH adoption patterns across the continent, including key infrastructure, business economics, winners and losers, market structure and regulatory drivers. The report provides a mapping of which markets appear most attractive for an FTTH rollout; it offers an in-depth analysis of the addressable market for FTTH in Africa, from businesses in central business districts to gated communities and beyond. 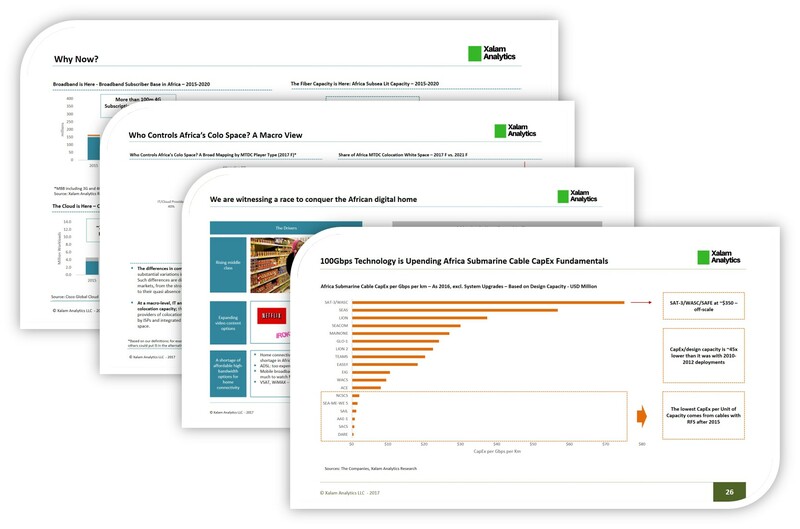 In addition, "The African FTTH Boom" report takes a close look at African FTTH economics, from cost of deployment to ARPU, profitability and potential returns, along with the implications of those dynamics on projected rollout and adoption. Arguably the most comprehensive analysis developed on the rise and impact of FTTH in African markets. 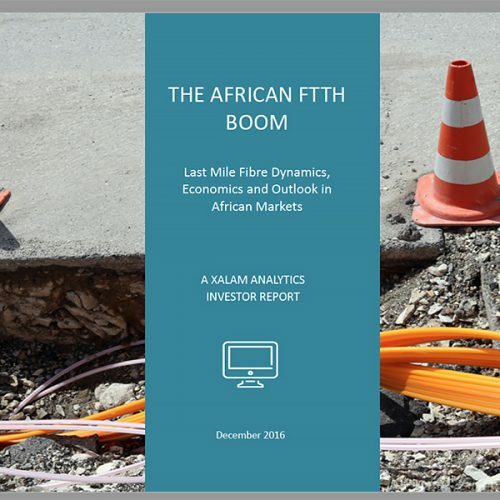 Arguably the most comprehensive analysis developed on the rise and impact of FTTH in African markets, “The African FTTH Boom” takes an extensive look at FTTH adoption patterns across the continent, including key infrastructure, business economics, winners and losers, market structure and regulatory drivers, current and projected levels of homes passed and connected. And much more. 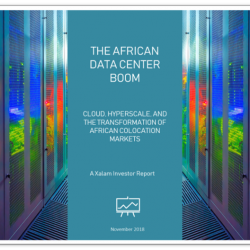 The report provides a mapping of which markets appear most attractive for an FTTH rollout and offers an in-depth analysis of the addressable market for FTTH in Africa, from businesses in central business districts to gated communities and beyond. 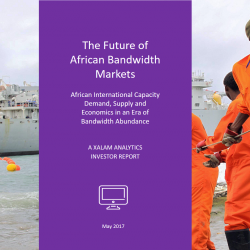 Finally, the report takes a close look at African FTTH economics, from cost of deployment to ARPU, profitability and potential returns, along with the implications of those dynamics on projected rollout and adoption. Africa is in the midst of an FTTH boom – an increasingly loud FTTH revolution that is made even more notable by the unique nature of some of its characteristics. Between 2014 and 2016, the number of homes and premises passed by fibre has more than tripled. The cumulative number of African homes/premises passed by fibre crossed the 1m mark in 2016. We expect it to hit the 2m mark in 2017. The total number of FTTH connections in Africa passed the 500k mark in 2016. Recent growth has been strong: around 75% of Africa’s FTTH connection growth since 2010 has occurred over the past two years. Last mile Fibre is upending Africa’s retail broadband market dynamics – from bandwidth speeds to user experience, pricing models and market share upheavals, it’s a whole new game. 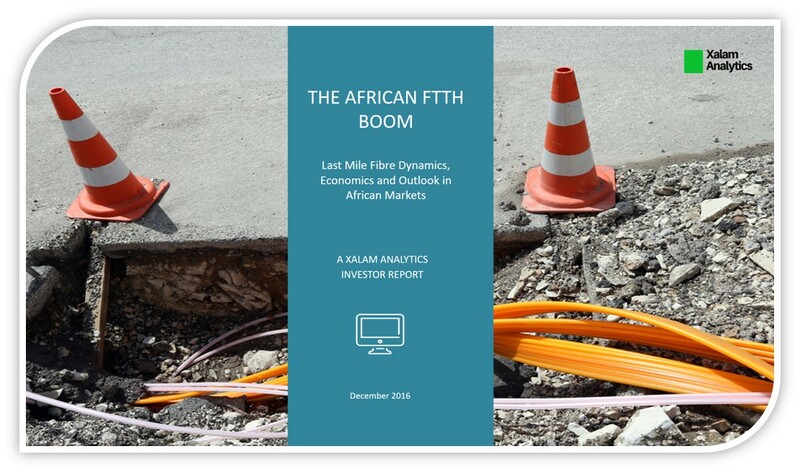 These dynamics are analyzed in our new report, “The African FTTH Boom, Last Mile Fibre Dynamics, Economics and Outlook in African Markets” – arguably the most comprehensive analysis developed on the rise and impact of FTTH in African markets. The African FTTH Boom takes an extensive look at FTTH adoption patterns across the continent, including key infrastructure, market structure and regulatory drivers along with current and projected levels of homes passed and connected. The report provides a mapping of which markets appear most attractive for an FTTH rollout; it offers an in-depth analysis of the addressable market for FTTH in Africa, from businesses in central business districts to gated communities and beyond. Finally, the report takes a close look at African FTTH economics, from cost of deployment to ARPU, profitability and potential returns, along with the implications of those dynamics on projected rollout and adoption. At long last, the African FTTH boom is here. What is the size of the African FTTH market? What are the rollout run rates, and the FTTH take-up rates? What are the primary drivers of African FTTH growth? Which markets are more likely to see an FTTH boom? What market structures have proved most optimal for FTTH growth? What does FTTH mean for large African (mostly mobile) telcos? For broader competitive dynamics? What is the potential demand for FTTH in Africa? What is the African FTTH upside? Do African FTTH economics work? How can operators make them work? What is the relationship, and the interplay between FTTH, ADSL, 3G/4G and other technologies? The rise of last mile fibre is transforming Africa’s broadband retail market dynamics – it’s a whole new game. Only around 45% of Africa’s Fixed broadband addressable demand has been reached by fixed broadband access solutions – and only 2% is currently reached by FTTH. We find the notion of an almost mobile-only African connectivity marketplace to be largely fallacious. Regulation is a critical obstacle to African FTTH growth; for the most part, African market structures are not optimized for FTTH roll-outs. Africa’s mobile operators have traditionally ignored FTTH. As a result, they have fallen behind. They can’t afford to. African markets will need between $2.3bn and $4bn over the 2016-2020 period to hit our FTTH projections. African FTTH economics are good in the first 1-2 phases of rollout, and much tougher thereafter. Along with regulation, these economics are the biggest risk to our projections. African FTTH at scale is a long, long term game. Investors looking for quick returns and payback periods will not find them here. But providers that stick to it over the long run will hold a nearly unassailable position in a critical segment of Africa’s digital infrastructure market. How do ADSL, MBB, FWA Impact FTTH – and Vice-Versa?